Draft: 1985, Montreal Expos, 2nd rd. 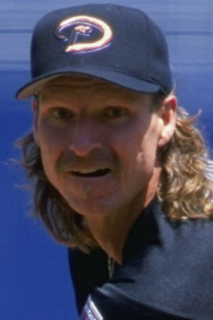 November 16, 2009 LHP Randy Johnson elected free agency. September 16, 2009 San Francisco Giants activated LHP Randy Johnson from the 60-day disabled list. July 28, 2009 San Francisco Giants transferred LHP Randy Johnson from the 15-day disabled list to the 60-day disabled list.